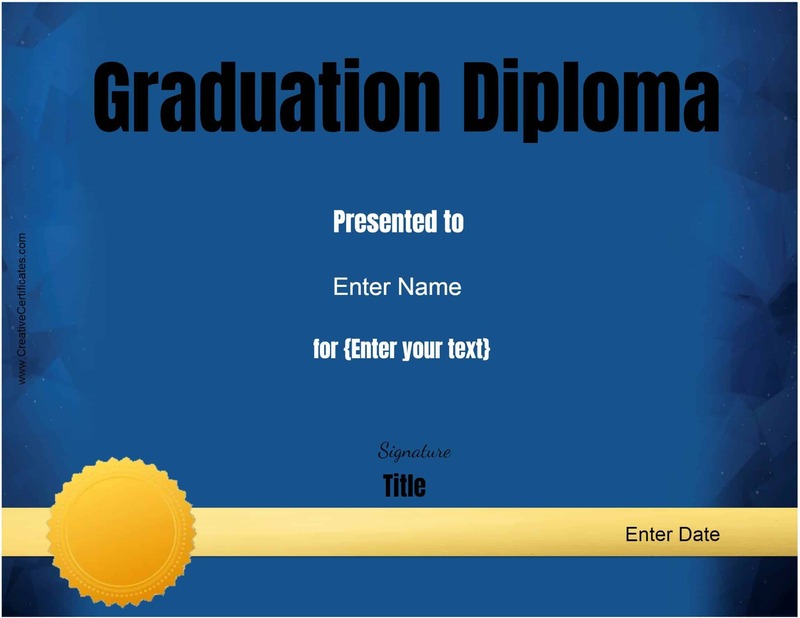 Free diploma templates that can be fully edited. 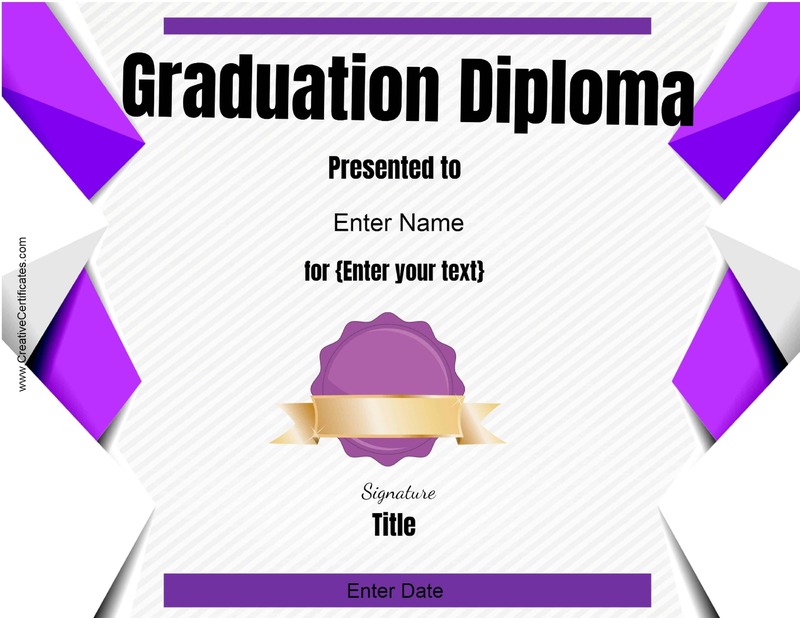 You can change the text on each diploma template so it is suitable for high school, college, preschool, kindergarten or even homeschool. 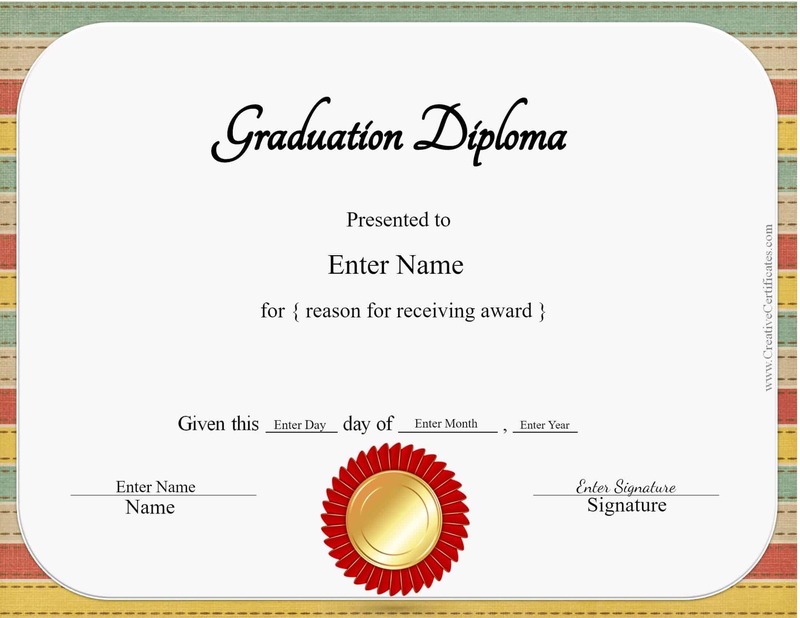 You can also use them for participation or completion of a program if you wish. 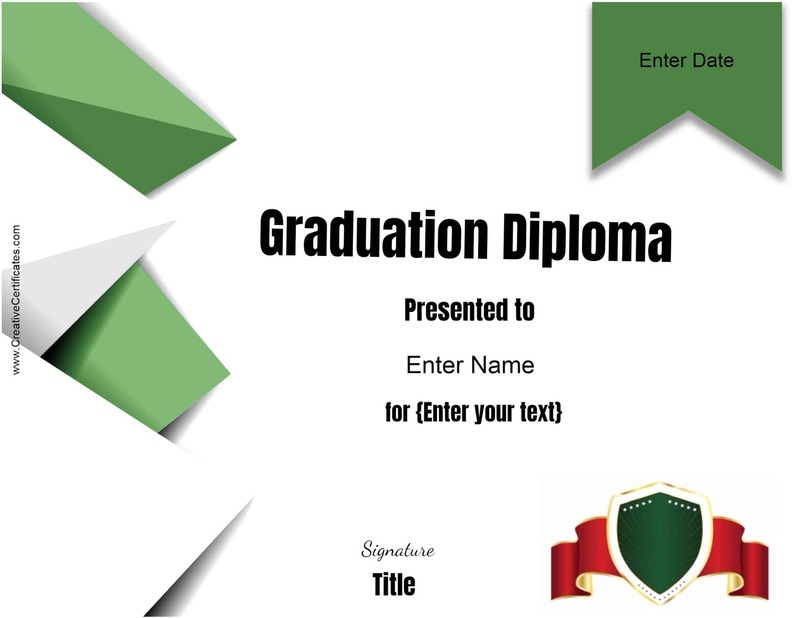 To add a logo to the diploma click on the image icon. 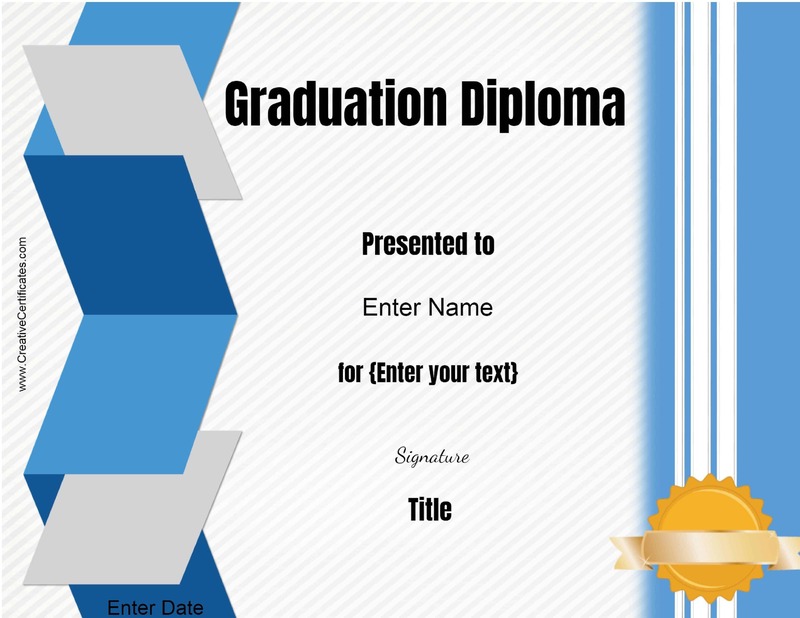 You can move the logo around and place it anywhere. 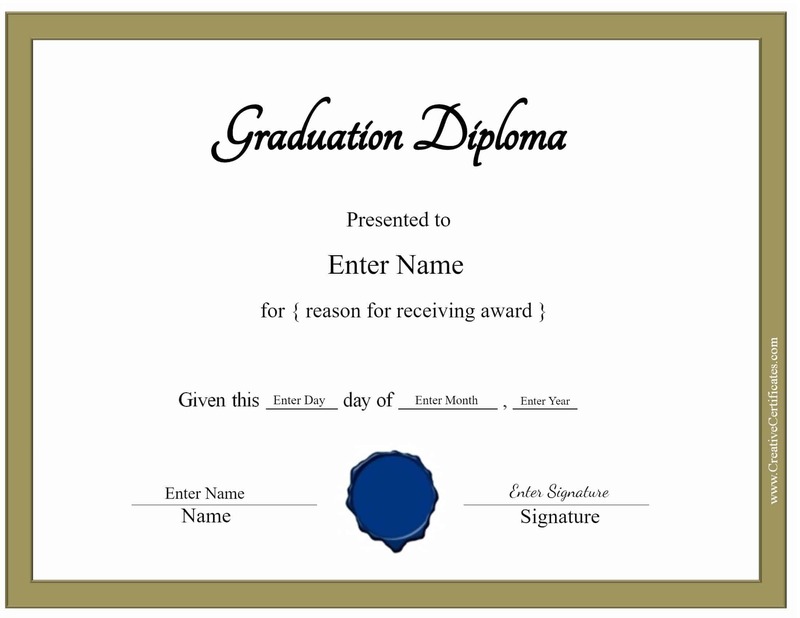 What can these certificate templates be used for? 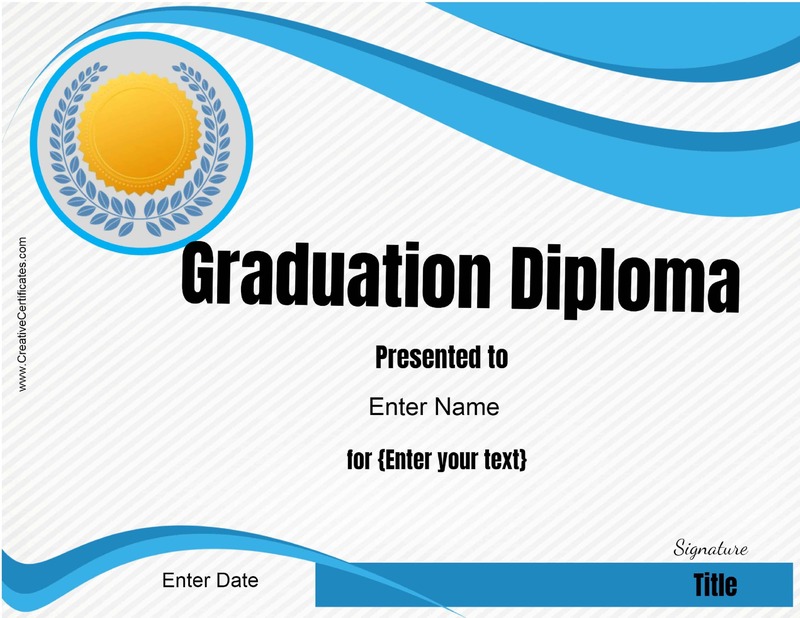 Please note that these are not fake diploma templates. 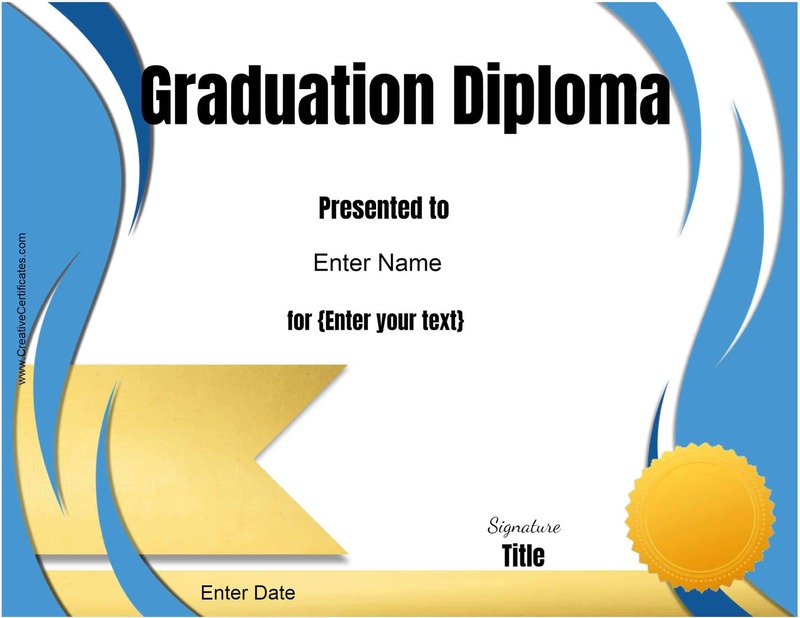 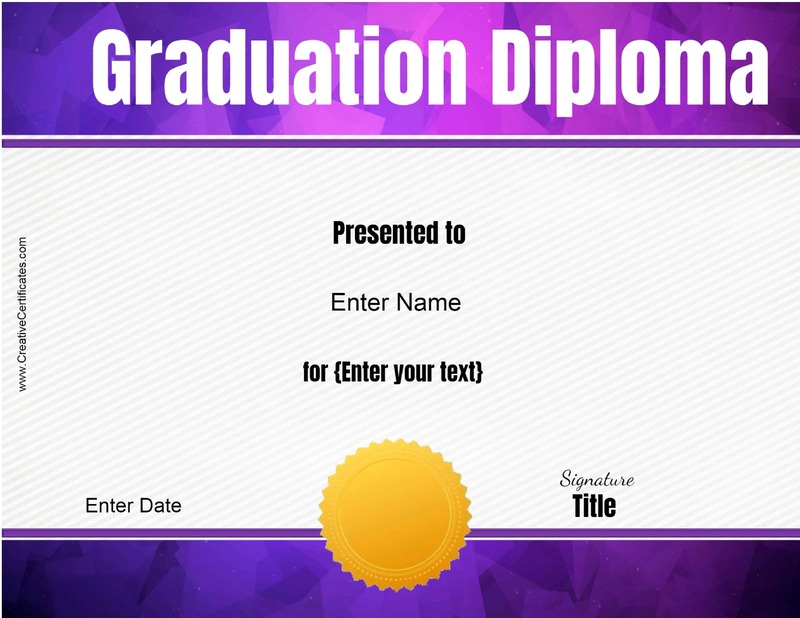 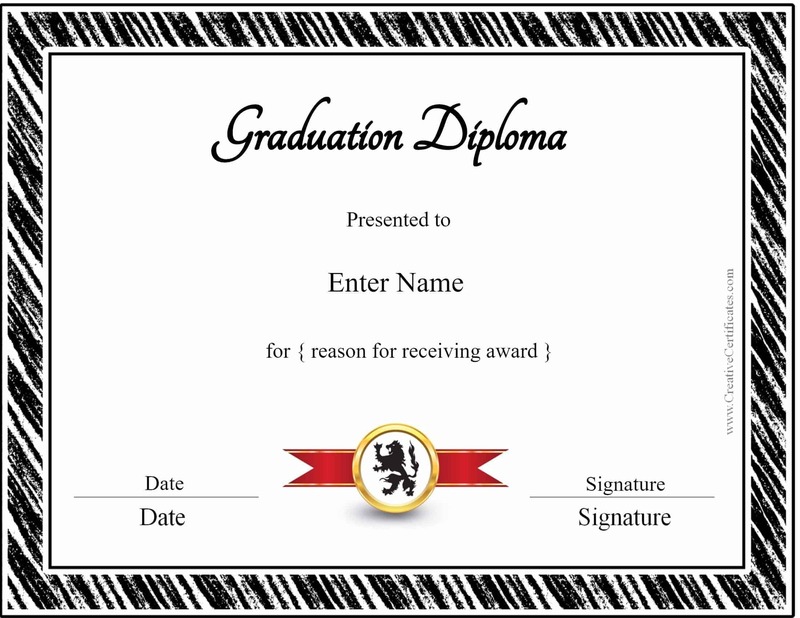 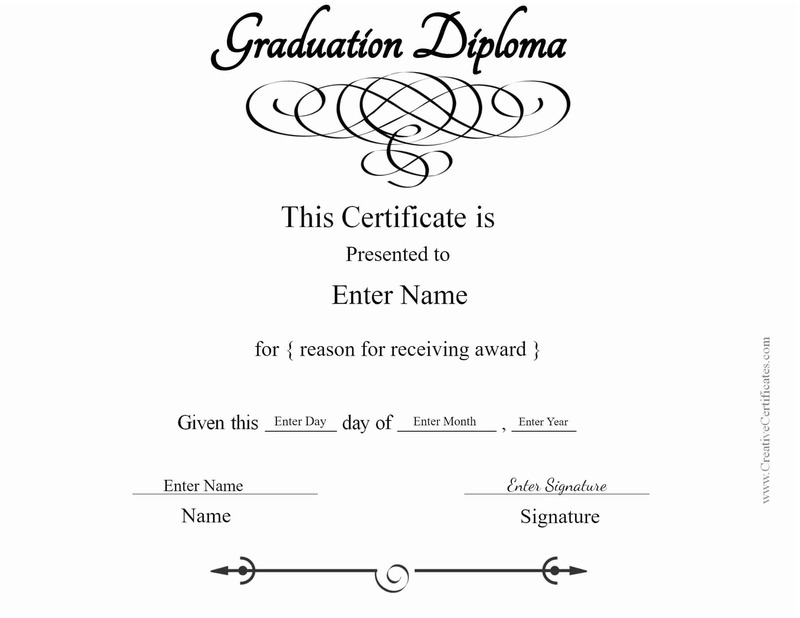 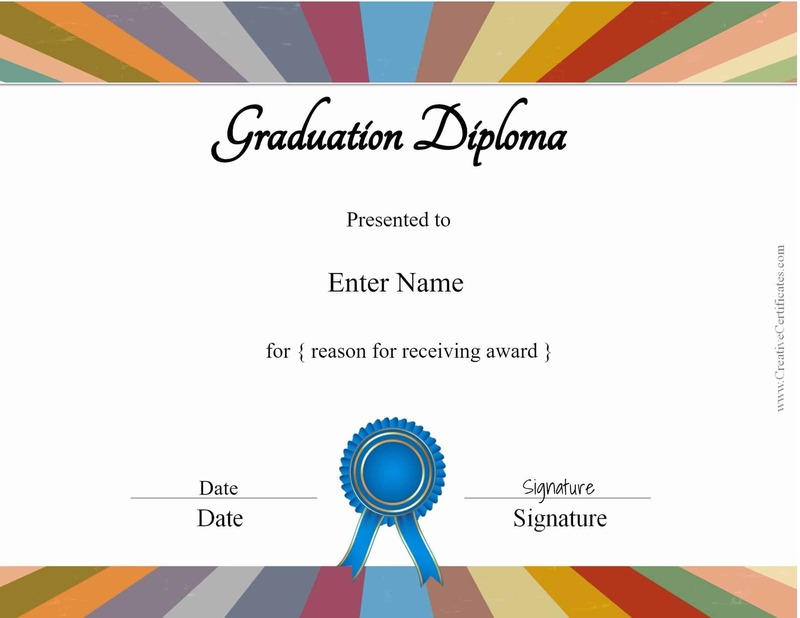 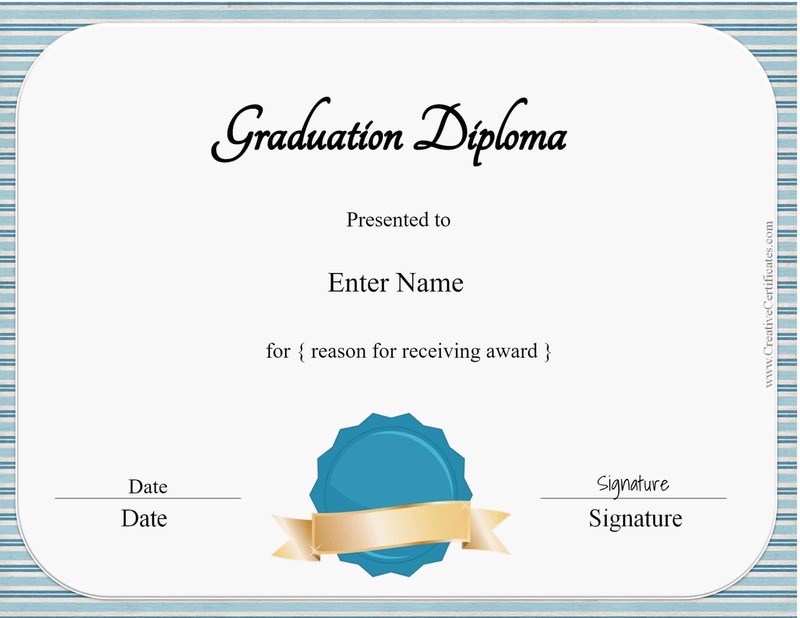 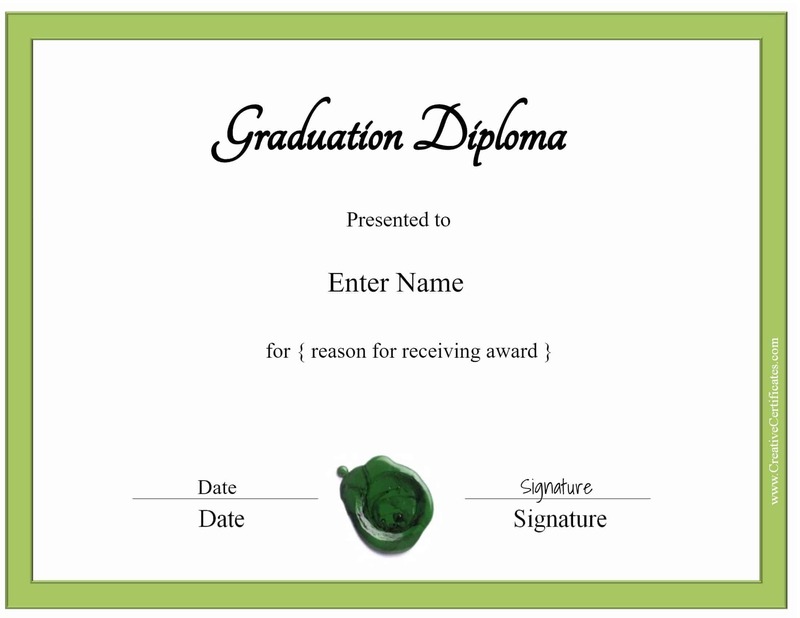 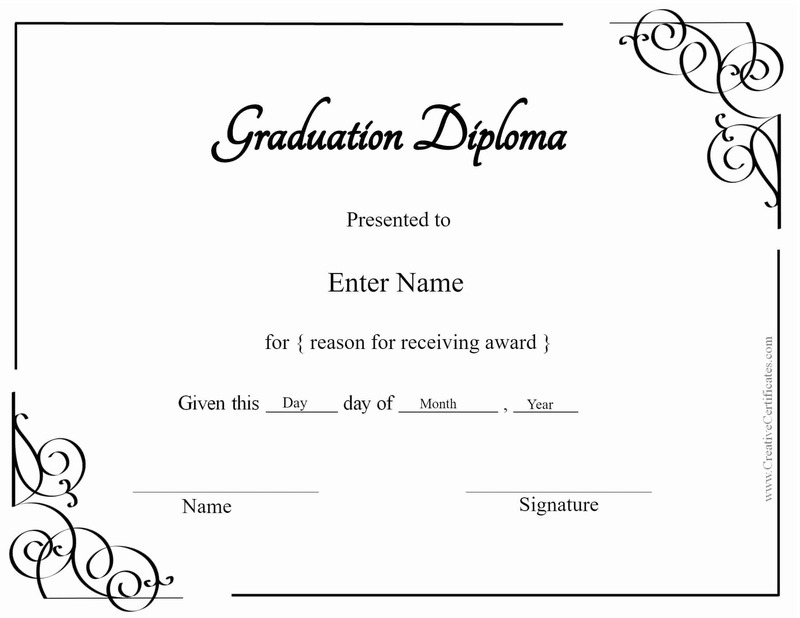 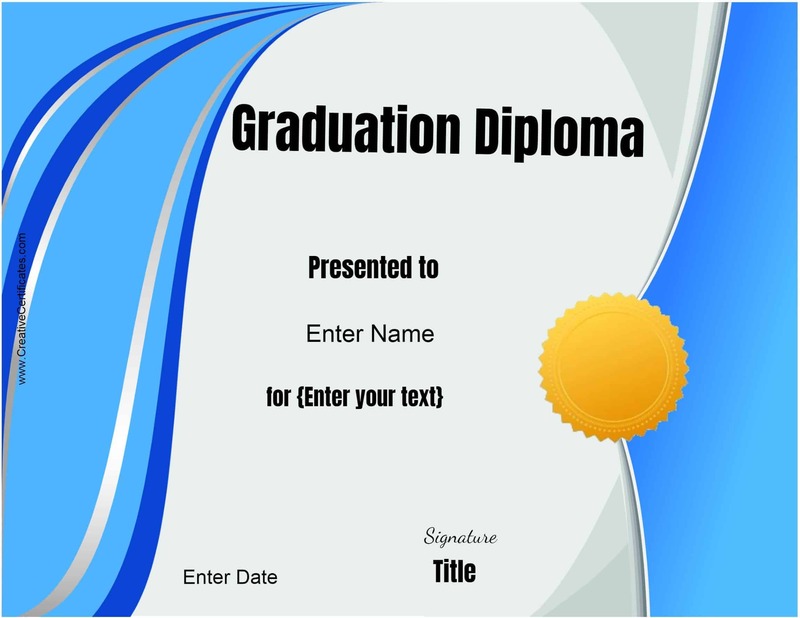 We have provided these for institutions or organizations that would like to present them to their students and are looking for graduation diplomas to print. 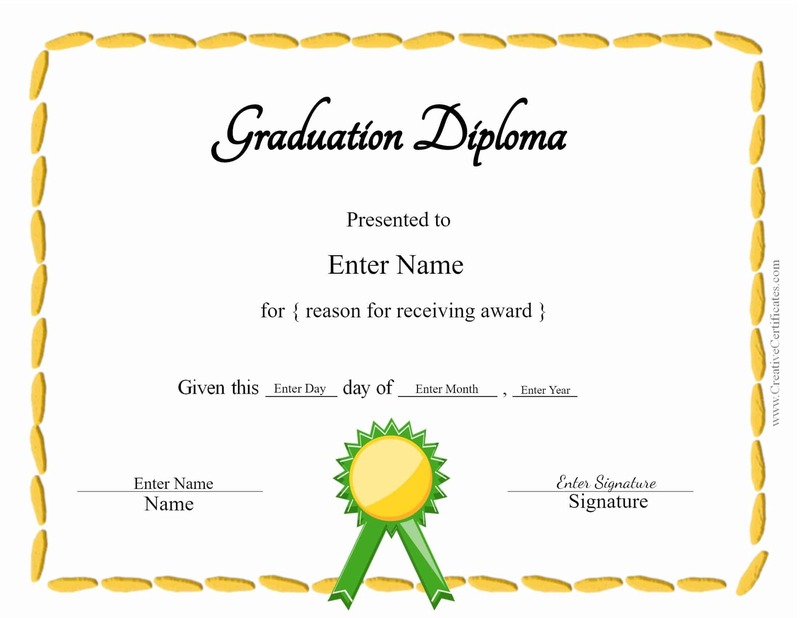 If you are looking for a fake diploma template this is not the place. 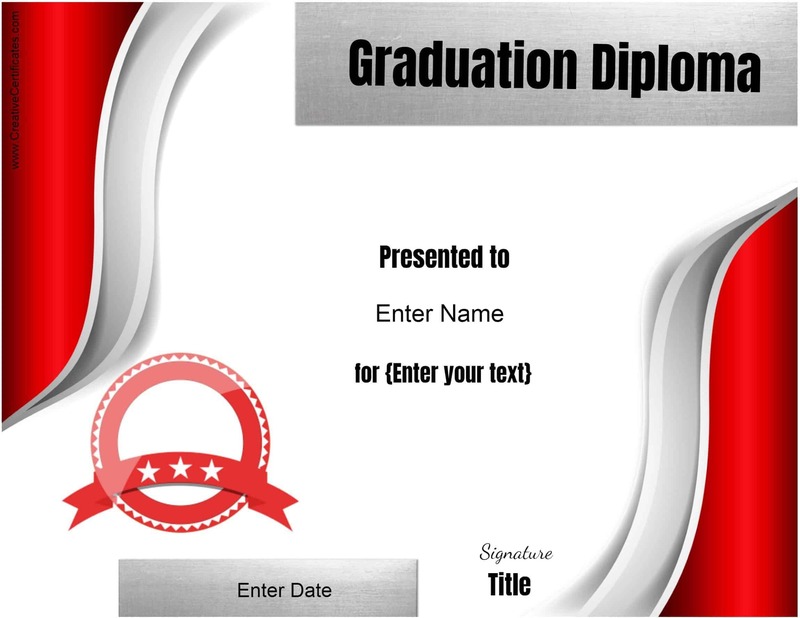 High school diploma template – add the logo of your high school and make a copy for each student. 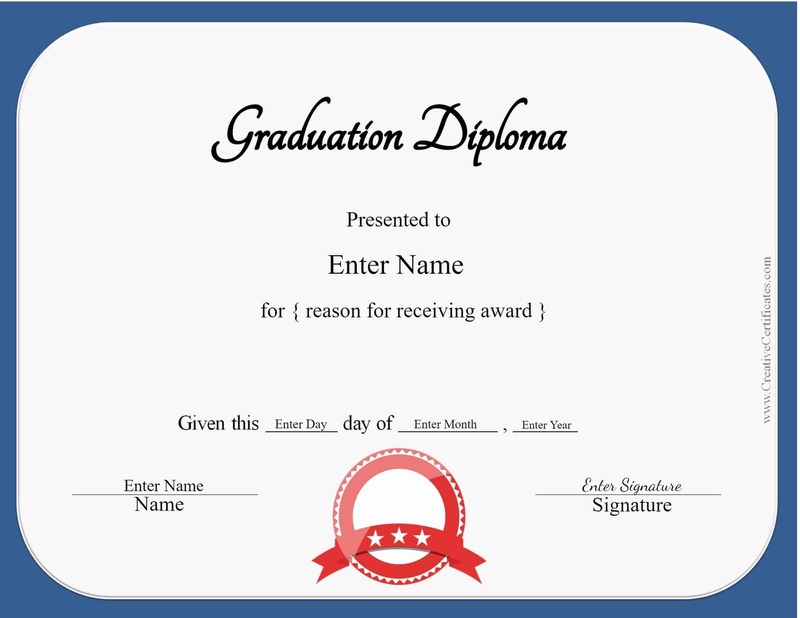 You can also just add the high school name if you don’t want to add the logo. 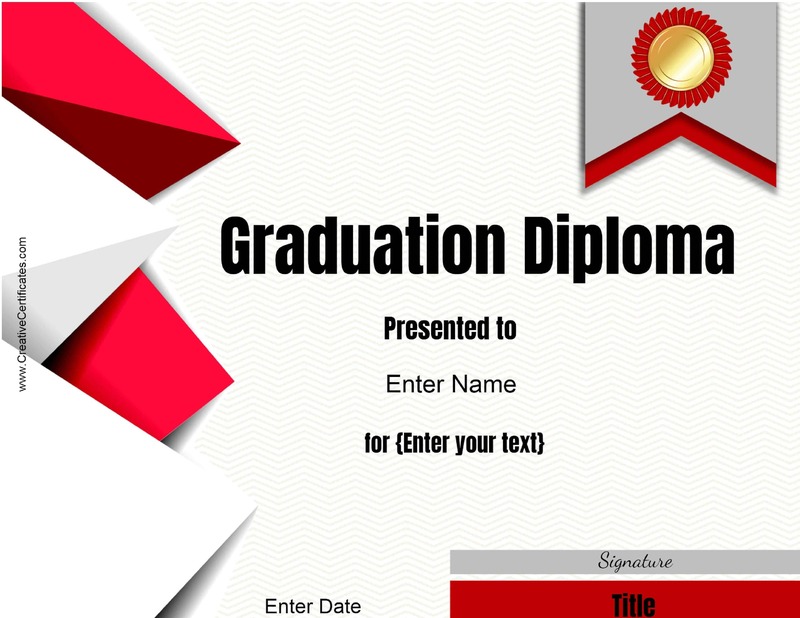 College diploma template – add the logo of your college. 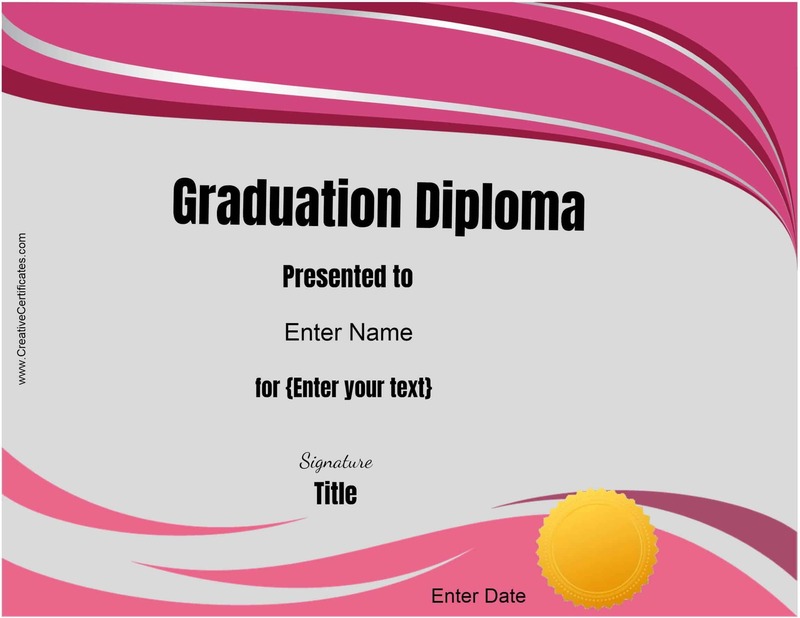 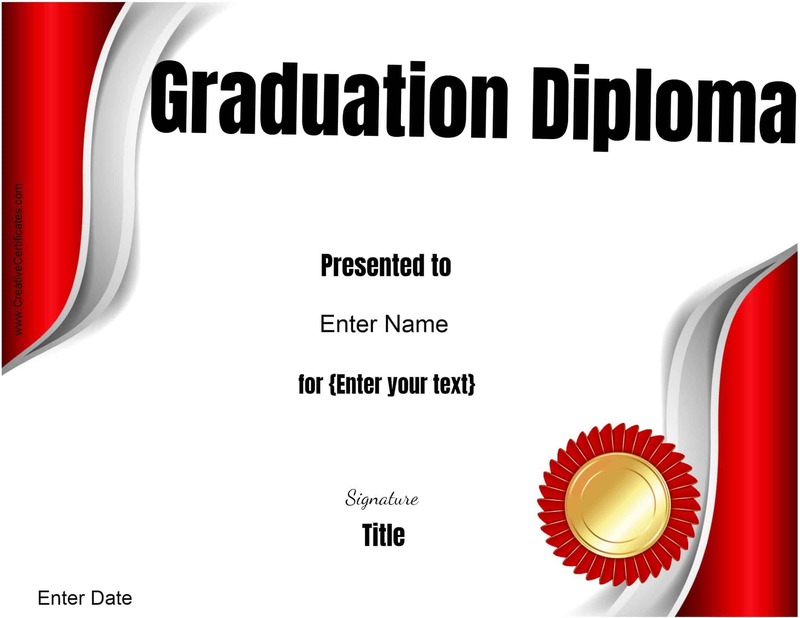 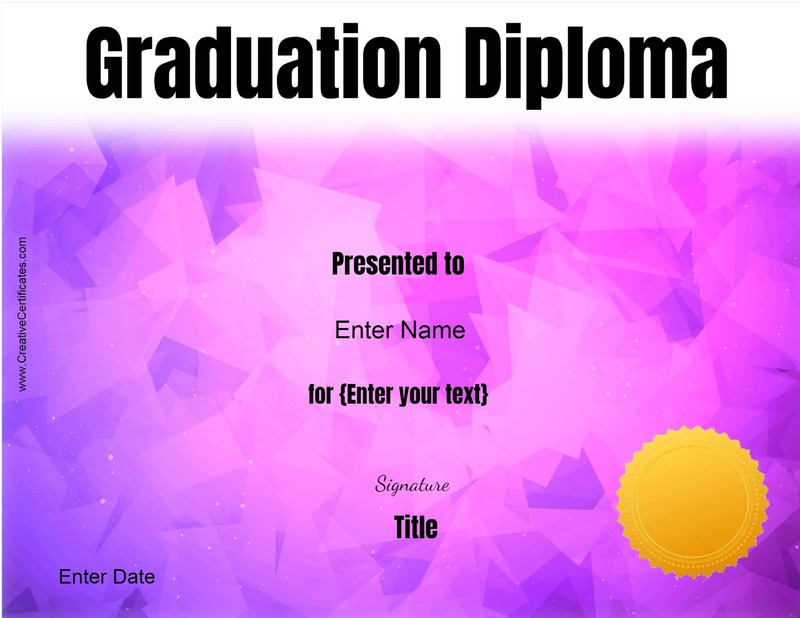 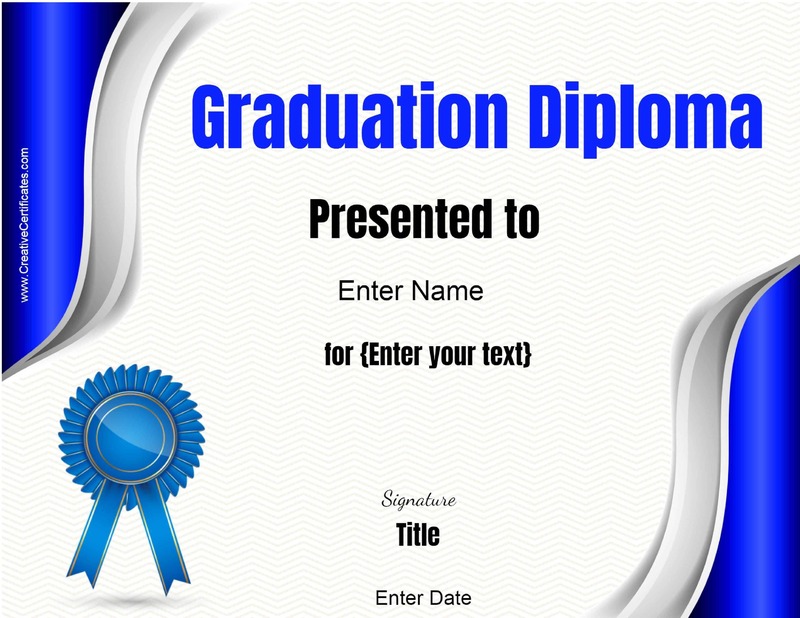 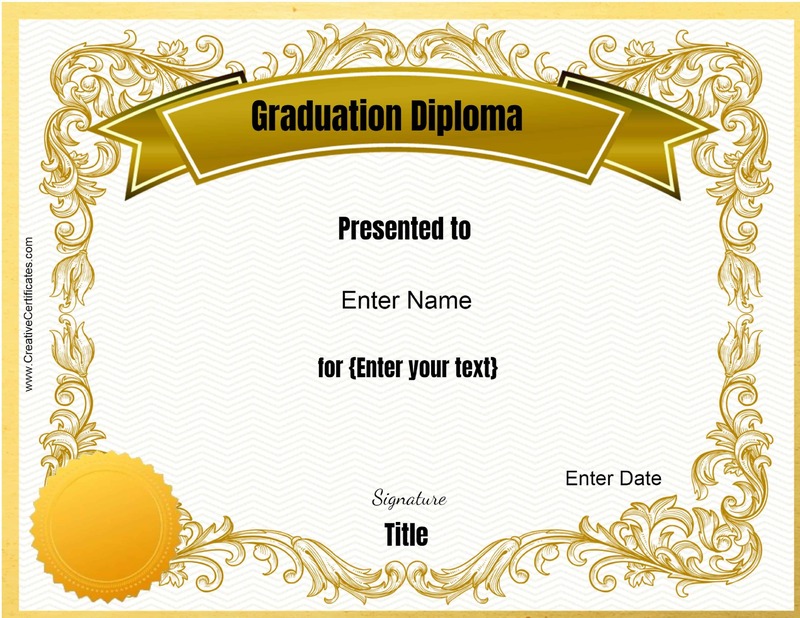 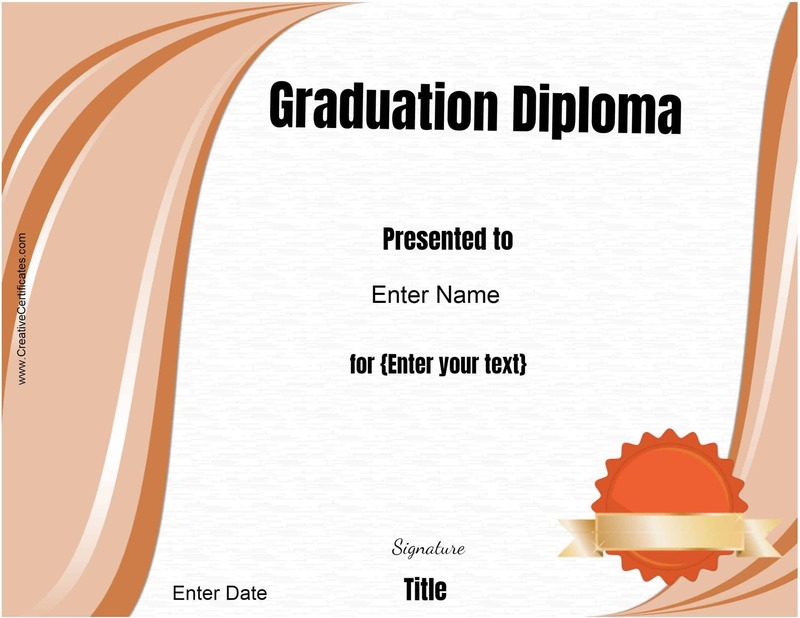 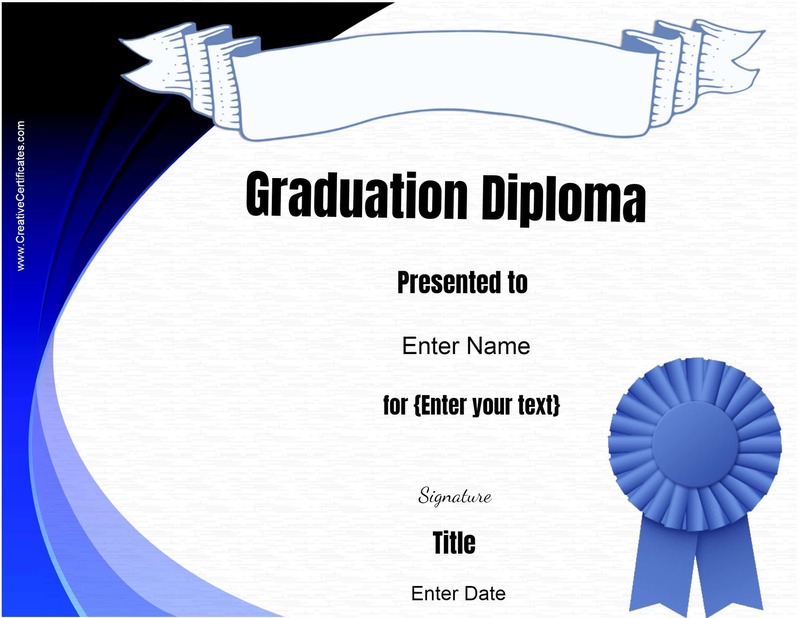 Homeschool diploma template – if you have homeschooled your children you can prepare a graduation certificate for them. 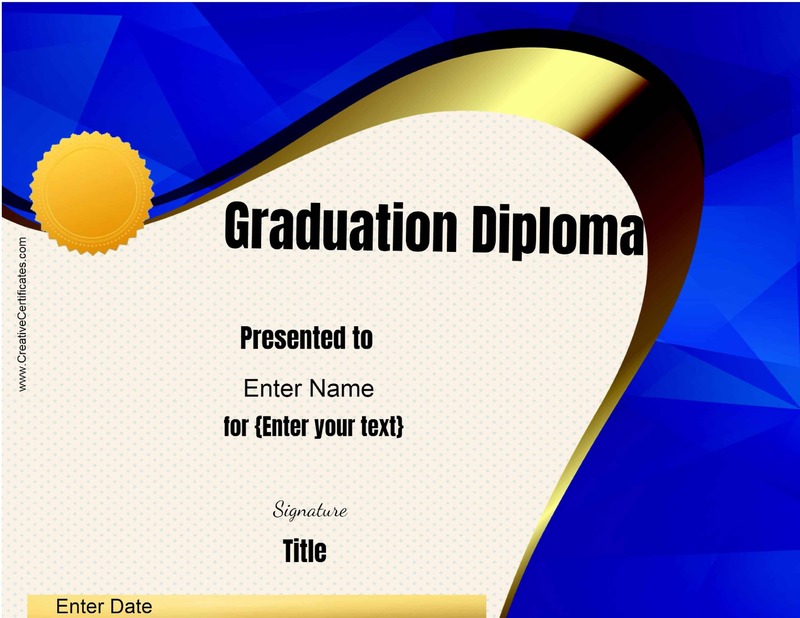 You are free to change the text so that it suits you and your family.